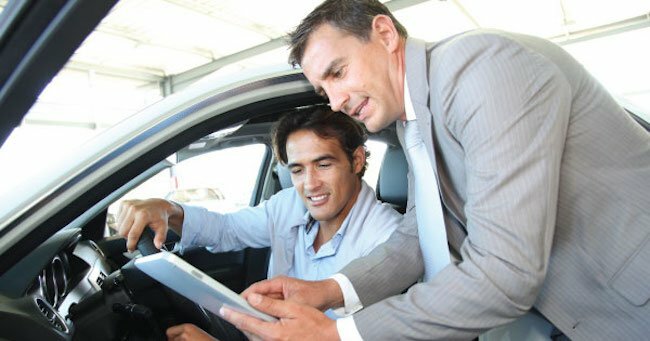 Did You Know You Can Sell Your Car to a Dealer? When it comes to selling your car, sometimes you just need to do it quick and easy and sell it to a dealer. Sure, you're not going to make as much as if you were to sell yourself, but if you're like me, you hate the drama of Craigslist. Because when you sell it yourself, you've got people calling you at all hours throughout the day, then you have to set up a time and a place to meet that works around both of your schedules, only to have people tell you at the last minute that they've lost interest, and then you have to wait to make sure their check clears. It's all just very cumbersome, and you might even have to do this circus a few times. That's why I never blame anyone who just opts for the quick sale or trade-in. I know for a fact that Evolve Automotive, located at Hampden and I-25, will just buy your car off of you. I thought they were very reasonable, friendly, and fair. It's right by King Soopers, so you could even grab your groceries while you're getting an appraisal, and return to an offer. After all, the hit I take by selling to a dealer is so that I can enjoy the convenience of skipping the headache that is Craigslist. Besides, I might as well grab a few groceries while I'm at it! So there you have it. If you're moving, getting deployed, or you inherited a car that you don't really want, you might want to consider saving yourself the hassle – despite what some may say – and just sell it to a dealer so you can get your money quickly without the drama. What are your thoughts? Do you have any craigslist horror stories? If so, let us know in the comments below! Did you hear that we named the best biker bar in Denver?